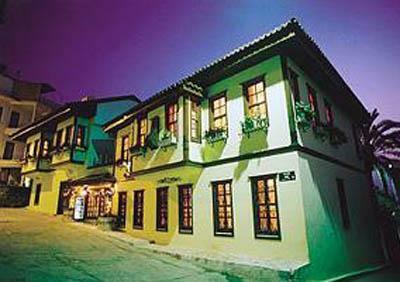 The atmospheric Dogan Hotel provides you the opportunity to have a vacation in the historical, but modern equipped hotel. 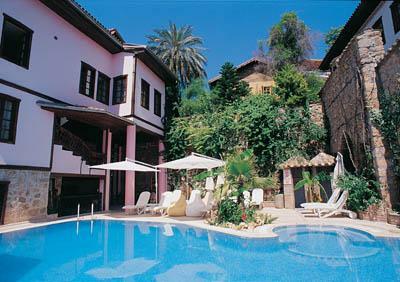 It is located directly in the heart of the ancient Antalya – Kaleici, now a historic zone full of the gracious restored old ottoman houses protected from modern development. The facility consists of three seperate authentic buildings and the airport is just 10 km away. 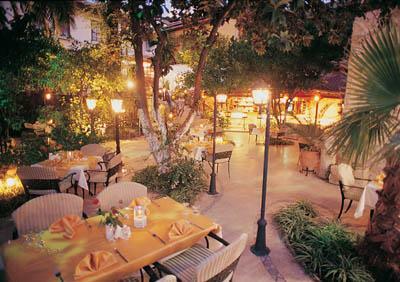 Reception * lobby * a lobby bar * restaurant * TV room * terrace for sun-tanning * garden * outdoor swimming pool * Jacuzzi. Bathroom (shower + WC) * air-conditionning *ceramic floor * TV * telephone * some of the rooms with balcony.Price based on bed and breakfast. 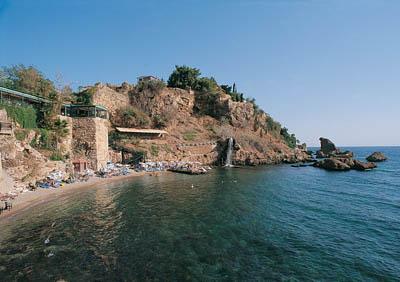 A small sandy/pebble beach is just 200 away, the pebbly large and long Konyaalti Beach is just 1.5 km away.